A lot of people believe that feeling healthy means you are healthy. Unfortunately, that's not always the case. Let’s take a closer look at diabetes for an example. It's a fact that one out of every three diabetics in America does not even know they have diabetes. Here is a group of people who feel fine but have a disease that could kill them. 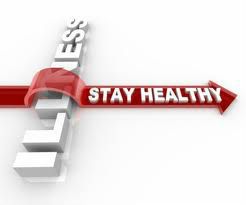 The issue is that most health problems develop over time. Symptoms are often times the body’s last attempt to tell you there is a problem. A simple blood test could have uncovered the problem.